A lot has changed in Fortnite with the arrival of Season 6. Everyone hopping in will be greeted with a cut-scene that shows the most obvious new change to the map, which is a giant island now floating above Loot Lake. That’s thanks to our friend, the giant purple cube, from Season 5. With every new season of Fortnite there comes a brand new Battle Pass just packed with new loot for you to unlock. 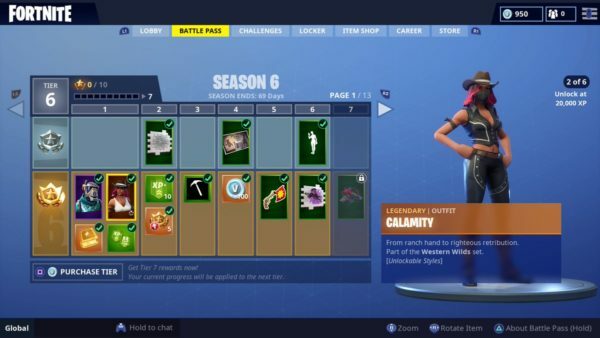 The Calamity and Dire skins require XP to level up, and if you want to get stage 2 of the Calamity skin, you’ll need 20,000 XP. Here’s what level 20,000 XP is in Fortnite Season 6, so you know what you’re working towards. First and foremost, it’s important to note here that currently, there’s no Fortnite Season 6 XP chart. As such, we’re using the Season 5 XP chart to give you the best idea of what level 20,000 XP is in Fortnite Season 6. According to the XP chart, you’ll need to be about level 18 or level 19 to hit 20,000 XP. There isn’t one correct answer to what level 20,000 XP is in Fortnite Season 6. This is because you’ll likely earn it midway through level 18. You’ll need 18550 XP to reach level 18, and 20,600 to reach level 19. As such, the level 20,000 XP is in Fortnite Season 6 will most likely be level 18, with just a tiny push to 19 to go! The Calamity skin requires a nice chunk of experience points in order for it to reach its full potential. The first step to completing this goal is reaching the 20,000 XP mark. 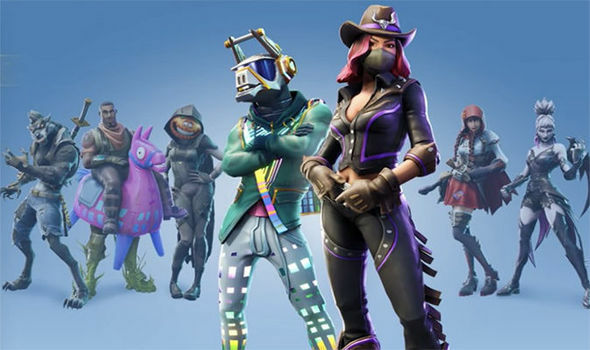 The Calamity skin is similar to the Drift and Ragnarok skin from Season 5. At the 20,000 XP threshold, Calamity will don black pants, a vest, and a bandanna covering her face. Fortnite Season 6 is full of new unlockables, secrets to uncover, and sweet Victory Royales to earn. This seems like just the beginning of the ride for whatever Epic has in store for us with Season 6. And there you have the answer to what level 20,000 XP is in Fortnite Season 6. Of course, if the XP chart for Season 6 turns out to be wildly different, we’ll update this post and let you know.